Dr. Robin Gordon is a recognized expert in Materials, Fabrication, NDE, Engineering Critical Assessment (ECA) and Fracture & Fatigue Design of onshore and offshore pipeline systems. Dr. Gordon has participated in numerous national and international committees to develop ECA and Fitness-for-Service Codes & Recommended Practices for the Pipeline, Offshore, and Petrochemical industry sectors. 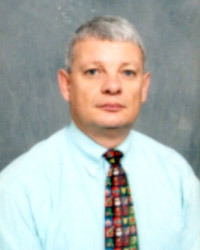 Dr. Gordon has provided Materials, Fabrication, NDE and ECA support to numerous onshore and offshore pipeline projects. Dr. Gordon has also developed Fracture Control Plans for numerous gas pipeline projects including high pressure Rich Gas and CO2 pipelines.